Zachary Lucky’s Saskatchewan Released Today! Today sees the release of one of my favourite releases of 2012 thus far in Zachary Lucky’s ‘Saskatchewan’! While I have been listening to it for a couple of weeks now, I am still having a hard time putting words to this EP. It is almost like trying to explain what/who is ‘Saskatchewan’ to someone who isn’t Canadian. I dare say Saskatchewan is what being a traditional Canadian is really about but again, it is hard to describe. Zachary Lucky’s home is the province in question and other than being Canada’s version of the American Heartland, it is the subject matter of this March 6th release in its entirety. As his Bandcamp page says: “these songs are for Saskatchewan.” And I believe him. Lucky’s songs might always sound a bit pensive and almost longing at times and this is at the forefront here. This may also be because Lucky is a never ending touring musician and this EP is about returning to ‘home’. 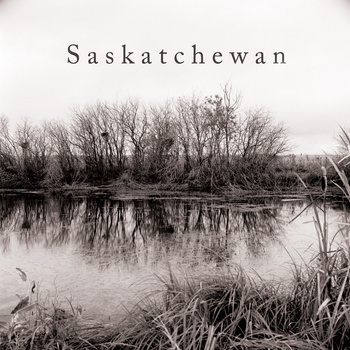 Just list the song titles and you know where this EP is going (and where it wants to be): Across The Ocean, Leaving, Back in the Fall, Leaves are Falling, Refrain and Saskatchewan. Most notably there is a narrative of separation throughout all the songs. Some reference a more personal relationship between two people like the track ‘Back in the Fall’. Now listen to that song with it being even more about Lucky’s relationship with Saskatchewan itself. Now the ‘title track’…this the pinnacle of the album with Lucky looking back fondly and pining for the past while still knowing it is just that. Almost like that long lost Dear John letter that never made it to its rightful recipient, it is a lament of love for anything (in this case his home of Saskatchewan). The letter than might not have ever needed to be sent but instead just repeated over and over to yourself. It also just so happens to be a great venue to focus on some fantastic pedal steel along with Lucky’s patented strumming and vocal timbre. Fans of Lucky’s previous work will be more than delighted with Saskatchewan and it will be required listening in many roots/folk homes. Overall I rambled in this ‘review’ about the feeling that this album/EP has left me with – it may be just 18 ways to say the same thing but I think you get it. The only fault of the EP is that is comes in at about 20 minutes total time due to the 8 track EP having 2 instrumental interludes and no track exceeding 3 1/2 minutes. Despite this, they just might be the best 20 minutes you will spend on music today or any other day. p.s. Calgary on May 21st at the Ironwood Stage!